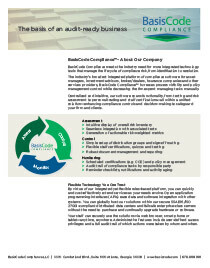 BasisCode Compliance Personal Trading Manager streamlines management and surveillance of personal trading. 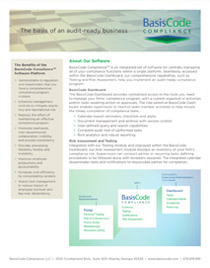 The highly sophisticated system increases the efficiency of your compliance team by eliminating labor-intensive, error-prone manual processes, while at the same time reducing regulatory risk. 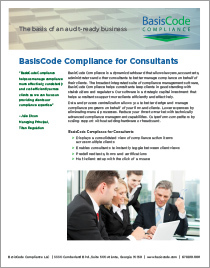 BasisCode Compliance Personal Trading Manager accommodates pre-clearance and post clearance, trade request analysis and employee-managed or direct feed brokerage options. Our highly configurable personal trading management system automatically evaluates all trade requests and identifies any potential conflicts of interest, based on your organization’s specific policies.Customize security types and set up policies to auto-approve, auto-reject or submit trade requests for further review. The system integrates with third-party securities databases to ensure the reliability of your reference data.